Here is a link to the Idaho BLM’s National Public Hearing requesting feedback on use of helicopters and motorized vehicles with the Challis wild horses. Comments can be made online or mailed to the Challis Field Office, click here for the details featured on KPVI Idaho news: http://bit.ly/2rckpZz. Due to government shutdown, the deadline for comments is now February 6, 2018. Thank you in advance for sharing comments in support of Wild Love Preserve’s collaborative work on the Challis HMA and our population management program implementing Native PZP-1YR, which commenced following the 2012 Challis BLM Helicopter Roundup, as a humane and responsible solution to wild horse management on public lands, versus helicopter roundups and removals at taxpayer expense. Wild Love Preserve's wild horse conservation programs, on and off the range, have saved taxpayers over $7.5 million dollars since 2013. Background: Watch Wild Love Preserve's narrated video story. Click here for information about Wild Love Preserve’s work on the Challis HMA, and all 6 herd management areas in Idaho, which includes explanation of Native PZP-1YR. 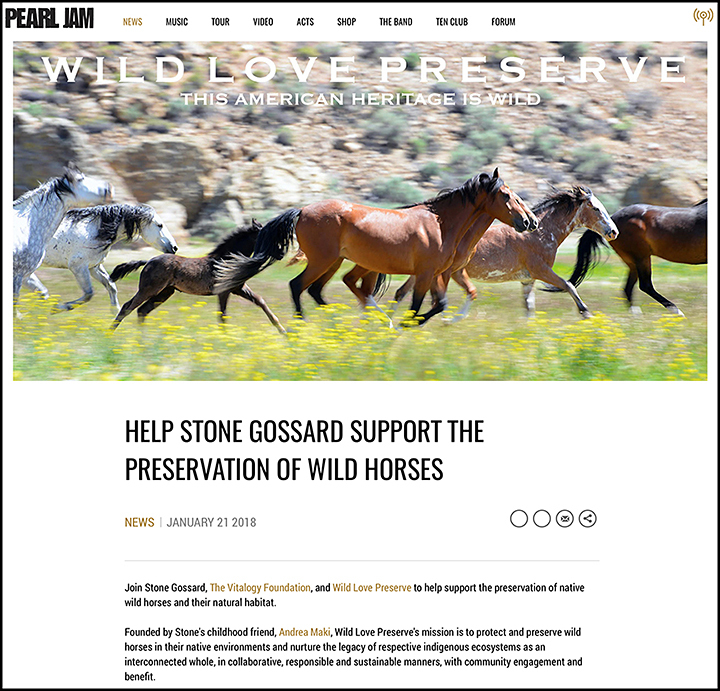 1) NO to helicopters and motorized vehicles at this pivotal juncture because we have a humane and all-inclusive wild horse conservation program in motion that needs to be given adequate time, attention, and funding by the BLM. 2) Allocate those resources required for helicopters, to instead fully fund and implement Wild Love Preserve's 5-year cooperative agreement with the BLM, which engages stakeholders, youth programs, and benefits the community. 3) Wild Love Preserve has demonstrated, via our programs and boots-on-the-ground implementation, that coexistence, humane treatment and sustainable management, protecting wild lives and indigenous habitats, and saving tax dollars, all work together within our multi-faceted model. WLP programs have saved American taxpayers over $7.5 million dollars since 2013. 4) Wild Love Preserve's inclusive conservation efforts offer a viable option to government helicopter roundups and removals, integrating total range health, collective harmony, balanced co-existence with indigenous wildlife, and livestock where applicable. The Native PZP-1YR fertility vaccine, which has proven safe and effective for over 25 years, is a key component of our multi-faceted conservation program. Educating stakeholders and the public to alternative options in collectively managing wild horse populations on native turf, by way of demonstration and implementation, serves to benefit other wild horse regions in western states, stakeholders, surrounding communities, and taxpayers. 5) Implement bait trap gather with hay, water or mineral blocks, if necessary, in conjunction with PZP fertility program, versus helicopter roundup and removal. 6) Thorough census count of Challis Herd, from ground and air, is needed prior to any removals. 7) Take into account retired grazing allotments that impact the Challis HMA. Herd Creek was retired at end of 2017. Thank you for your kindness, time, and support of Wild Love Preserve and the Challis wild horses, and for being considerate in your comments to the Challis Idaho BLM. Your Donations Support The Lasting Wildness of Our Iconic Wild Mustangs and Our Wild Places.